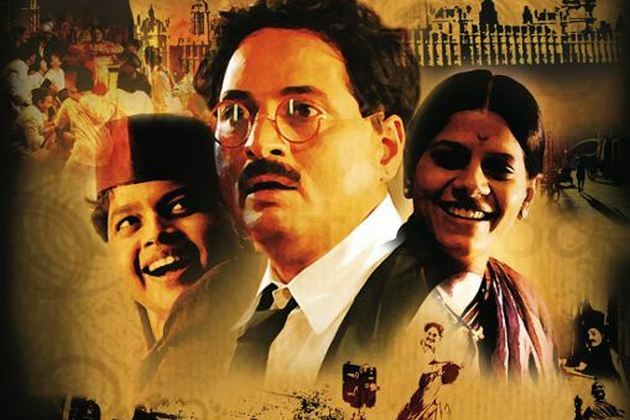 A Marathi film, theatre director Moksashi’s biopic of Dhundiraj Govind Phalke, the father of Indian cinema, looks at the epic struggle he underwent to direct Raja Harishchandra (1913), the first full length Indian film. Produced and distributed by UTV Motion Pictures, it is somewhat of a no brainer why this film has been made and it has been do so with a warmth and passion that mirrors the creative ingenuity of a pioneering figure like Phalke. However, the fact that I stumbled on this film by chance perhaps suggests it was denied a UK release but had it appeared on the art house film circuit it may have found a niche audience as it documents a very significant part of Indian film history. Admittedly, the history of Indian cinema has not really been represented in many films and credit has to been given to all those involved in being able to make this feature film with such a level of credibility. It is in fact a light comedy and details Phalke’s journey with a real fondness for early silent cinema – in one sequence Phalke is shown visiting London to meet Cecil Hepworth, another pioneer, to share ideas and learn about film making. I hope a UK DVD distributor does pick up Harishchandrachi Factory as it offers a delightful glimpse into early Indian cinema. 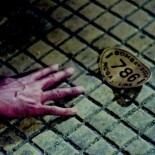 A Canadian production shot entirely on location in New Delhi, brothers Richie and Shaun Mehta directorial debut Amal mixes De Sica with Frank Capra to produce what is a good old fashioned morality tale in which a rich man (played brilliantly by Naseeruddin Shah) leaves behind his fortune to an auto rickshaw driver called Amal (Rupinder Nagra). 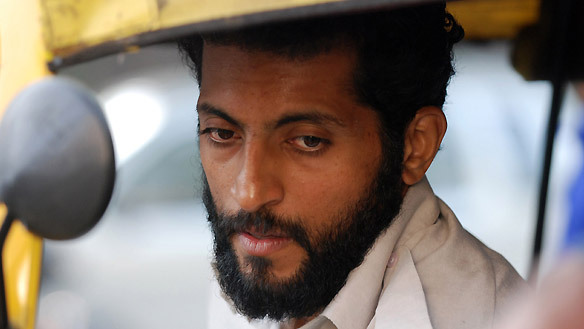 What impressed me the most about Amal was the film’s humility towards its central character, an impoverished rickshaw driver who surrenders his livelihood to help someone less fortunate. Richie and Shaun Mehta were able to secure financing to extend their short film into a full length feature and whilst Amal may fall under the label of diaspora cinema, it’s depiction of New Delhi is one of the most potent and richest I have come across in a while. Embracing De Sica’s humanism, the film is careful to steer away from the realist aesthetics and instead feels closer to American independent cinema. One of the more intriguing ideological aspects of the narrative is the way it depicts Auto Rickshaws as antiquated and outmoded when placed alongside the emergence of the New Delhi Metro system. A wider message being explored is the impact of modernity and rapid urbanisation on the people of New Delhi whilst the demonic representations of the wealthy upper classes hark back to the films of Raj Kapoor. Overall, Amal is an impressive debut. Taking it’s cue from the recent cycle of noir films including Sankat City and Johnny Gaddaar to name a few, Emotional Atyachar (inspired by the song from Dev D or is this a popular city euphemism associated with Mumbai) is yet another surprising well made directorial debut. Newcomer Akshay Shere who has previously worked as an Assistant Director to Ram Gopal Varma interweaves four noirish story lines which are held together by the common presence of a pair of bickering comical hit men played by two of Indian cinema’s finest comic actors working today; Ranvir Shorey and Vinay Pathak. Arguably, the film seems to find its strength much later on with the appearance of up and coming Indian actress Kalki Koechlin who plays a variation on the femme fatale. Koechlin debuted in Kashyap’s Dev D and is currently busy working on a number of high profile projects. She has the potential to become a very promising actress – I think part of this is down to her unusual looks and spiritedness that is well suited to independent film projects. 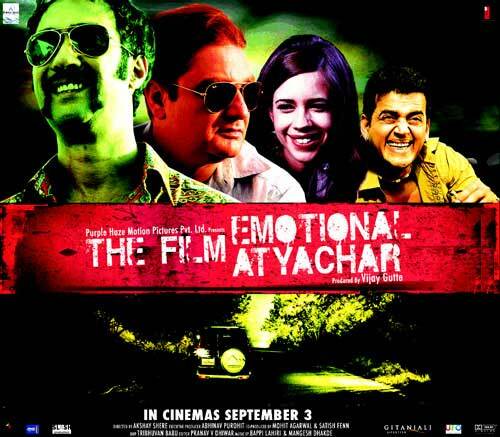 Emotional Atyachar is yet another film that didn’t quite make it to the UK and whilst it is not brilliant, it does try and bend the rules a little when it comes to genre. This entry was posted on November 6, 2010 by Omar Ahmed in dvd round up, Indian CInema.